The pairings for the First Round of the 2019 Lamar Hunt U.S. Open Cup, U.S. Soccer's National Championship, have been determined by U.S. Soccer. 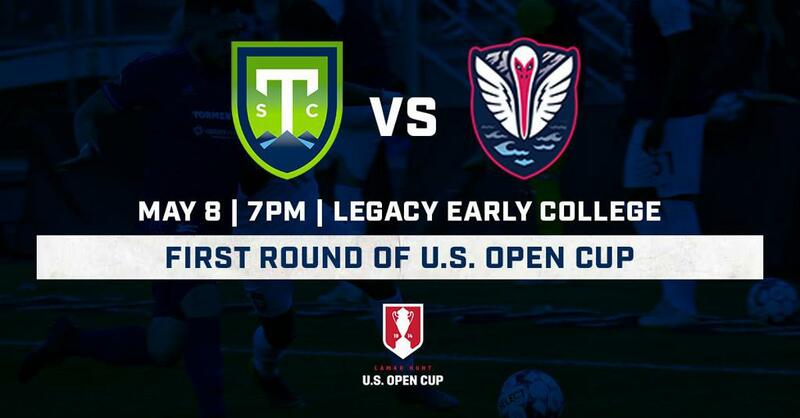 On Wednesday, May 8, the Triumph will host their USL League One rivals, Tormenta FC, at Legacy Early College for the first round of the U.S. Open Cup. The two teams are already scheduled to meet 4 times during the regular USL League One season. The Triumph's next game at Legacy Early College is Saturday, April 13 at 7:00 pm as they take on the Chattanooga Red Wolves. Tickets are available here.